There is a highly misleading program from the UK circulating on the internet. You may have seen it. BBC TV’s Newsnight program on Friday evening aired a designed-to-fail test conducted in Dubai on Vitracore G2 panels. The test was commissioned by two of our competitors, who have demonstrated their ulterior motive: to falsely discredit a competitor’s product. To do this, the panels tested were flat and face-fixed – with open joints and no returned edges – and therefore installed contrary to manufacturer’s guidelines and recognized standard installation practices within the construction industry. When Vitracore G2 panels are installed correctly they achieve a complete pass to the UK standard BS8414/BR135 for full-scale wall performance. Our ACM panels are manufactured to ISO 9001, ISO 14001 and BBA quality standards, and are CodeMark certified. Our customers can continue to feel confident in the performance of Vitracore G2 panels. Vitracore G2 was tested to BS8414/BR135 by Exova Warringtonfire in November 2017. The panel did not spread flame, and temperature results were safely below requirements. But, unknown to us, our competitors set up a test designed to challenge the non-combustibility of our Vitracore G2 panels. Nevertheless, the footage of the test conducted in Dubai shown on the BBC Newsnight report showed clearly that the Vitracore G2 melted in the region of the fire source but did not continue to burn or spread. Therefore, the BBC report, despite the journalist’s assertions, in fact confirms Vitracore G2 prevents fire spread. 1. Vitracore G2 has achieved a complete pass to the UK standard BS8414/BR135 for full-scale wall performance. Vitracore G2 is Euroclass A2-s1,d0 to BS EN 13501-01 compliant and is therefore of limited combustibility. In the UK, a BS8414 test to BR135 criteria must only be carried out if any part of the whole façade build-up is B rated or worse. Therefore, Vitracore G2 complies with the regulations for all building types providing all other components that make up the façade are also A rated. This test of Vitracore G2 demonstrates that the panels will not cause a fire to spread through the exterior or interior of a high-rise building. A real-life example of the effectiveness of Vitracore G2 to prevent spread of flame occurred on 7 September 2017 at an apartment building under construction in the outer southwest Sydney suburb of Liverpool, Australia. The fire started inside the building and burnt through the top four floors, during which the Vitracore G2 cladding came under direct flame attack. Vitracore G2 did not combust, or in any way further conduct the fire. 2. The test relied on by the BBC Newsnight report was commissioned by two competitors of Fairview subsidiary, Valcan, who likely have an ulterior motive: to falsely discredit a competitor’s product. One of these competitors has been running a misleading campaign in Australia to discredit Vitracore G2, including conducting its own backyard test, with no oversight by an independent qualified and independent materials testing and product qualification testing company. They are not motivated by public interest but pure commercial interest. By contrast, Fairview and their subsidiaries positioned themselves as industry friends and educators. We have produced two short videos educating stakeholders about panel types and their correct use. 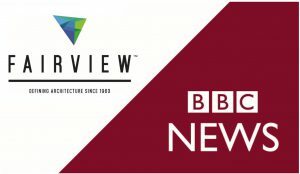 Fairview, in conjunction with leading fire engineers, has run over 80 educational public and in-house seminars in each capital city about the compliant use of ACM cladding to date. 3. The panels in the test were not installed as per the manufacturer’s guidelines. 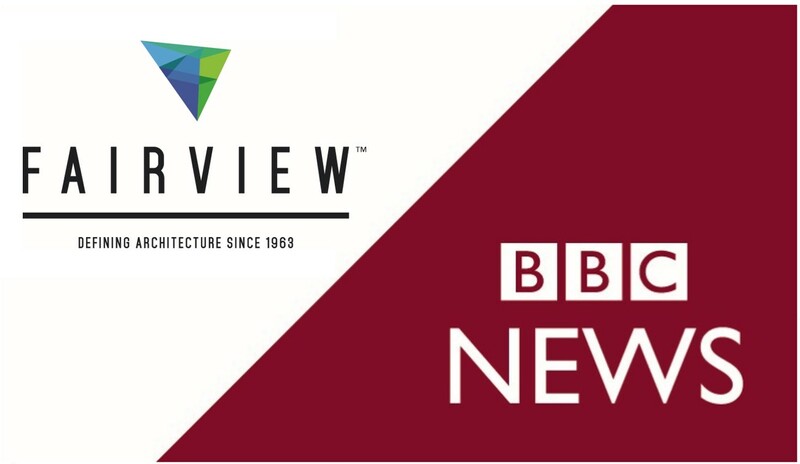 Details of the design and construction of the external wall system – and the combustibility or otherwise of other components, such as wall build-up and insulation – used in the Dubai BS8414 test featured in the BBC report have not been made available publicly. Certainly, the panels tested were not installed according to the manufacturer’s guidelines. These are major factors in whether a cladding product passes or fails. Without these salient facts, the test results are meaningless. Nevertheless, and ironically, the footage of the test conducted at Exova Dubai shown on the BBC Newsnight report showed clearly that the Vitracore G2 melted in the region of the fire source but did not continue to burn or spread. Fairview has recently launched SafeClad training programs to create the industry’s first accreditation services for ACM panel installers. The new program, developed with advice from the Master Builders Association, highlights safe cladding practices from the installer, manufacturer and peak body perspectives. 4. Vitracore G2 has never failed a BS8414 test where non-combustible insulation was used and where the test was conducted under stringent testing guidelines by a qualified and independent materials testing and product qualification testing company, such as Exova Warringtonfire. 5. Fairview is comfortable recommending Vitracore G2 panels because the product is A2-s1,d0 compliant, compliant under the Australian building codes and is suitable, if fitted correctly and approved by a qualified fire engineer or building surveyor, for use on high-rise residential buildings. Our ACM panels are manufactured to ISO 9001, ISO 14001 and BBA quality standards, and are CodeMark certified. Fairview provides product specifications, installation guides and test data to help ensure all its ACM panels are used for the purpose for which they were designed and certified. 6. Fairview and its subsidiaries, management and employees are proud of the products we manufacture and distribute. We all take public safety very seriously and are committed to ensuring all parties that use our products are fully informed about the best approach to safely installing ACM panels. We do not use the media to attack a competitor. We believe our products are the best on the market and stand by our reputation as the global leader in promoting the safe use of panels.